Police are advising that a collision involving a truck is causing diversions on Middle Road in Warwick in the area of Manse Road this morning [Jan 21], with traffic being rerouted to Harbour Roads. 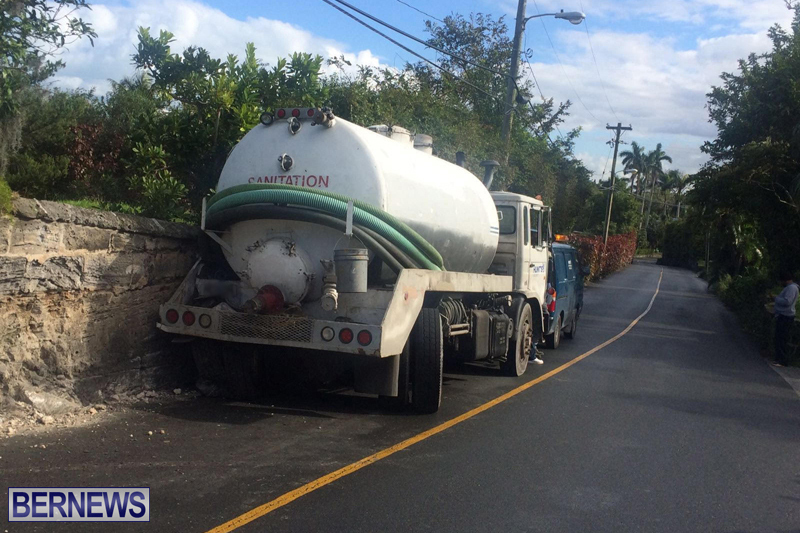 Police Media Manager Dwayne Caines said, “Police would like to advise that presently there are road traffic diversions on Middle Road in Warwick in the area of Manse Road, this after a Hunts Truck collided with a Utility Pole. Traffic is being rerouted on to Harbour Road. 3 in a week?…oh yeah we need traffic lights and cameras here too huh…where were the police…where was Dunkley he should have prevented this from happening. ..
You’re dopey, just one dopey person. Wow what a shi**y way to start a day. Sanitation truck clearly mistook the pole for a log. 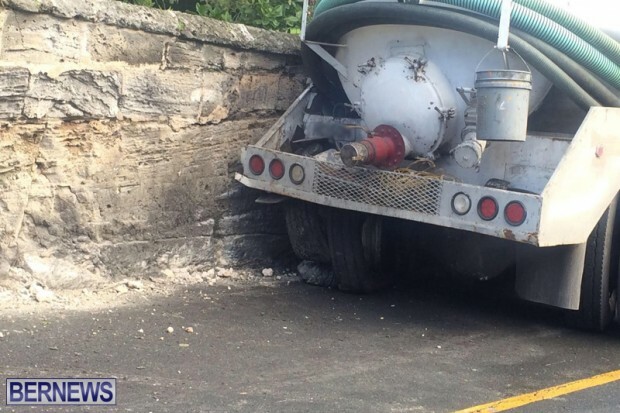 The truck driver did not see the pole until too late, or did not know its width in relation to the width of the truck and the center line, fortunately know one was injured, and its cargo did not spill, had that happened several other department s / agencies would have been called out. no no no like most accidents the pole jumped out at him. Everyone is always so quick to lay blame. How do you know what happened? The media posts the facts (usually) but not the circumstances. Judging by the ‘bend’ in the road according to the centre line, I would bet good money that another vehicle coming in the other direction was cutting that ‘bend’ (aiming to put the centre line under the centre of their vehicle as most people here do)and caused the truck driver to swerve in order to avoid a two-vehicle collision. Of course I wasn’t there and I could be wrong as well but I just wanted to prove a point. Looking at the above picture, the trucks rear right wheel looks odd, like turned in to the left. On another note, as traveling West on the corner at the beginning of Manse Road, there is a metal cover there, don’t go over it on a wet road or be going too fast!